In manga and anime, Super Saiyans look cool, but in real-life? Cool, too, but absurd. 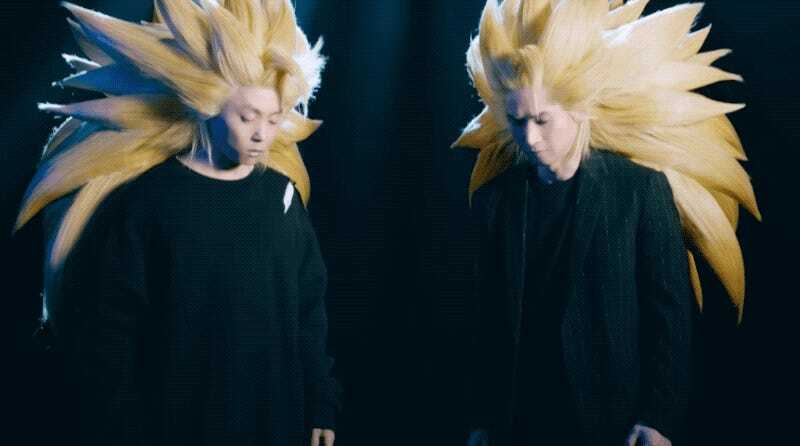 Pop group Kinki Kids donned Super Saiyan hair for mobile game Dragon Ball Z Dokkan Battle. While the hair looks like in the anime, it makes the duo appear stiff and awkward when they turn their heads. Maybe they don’t have enough S-Cells to rock those locks. That must be it.